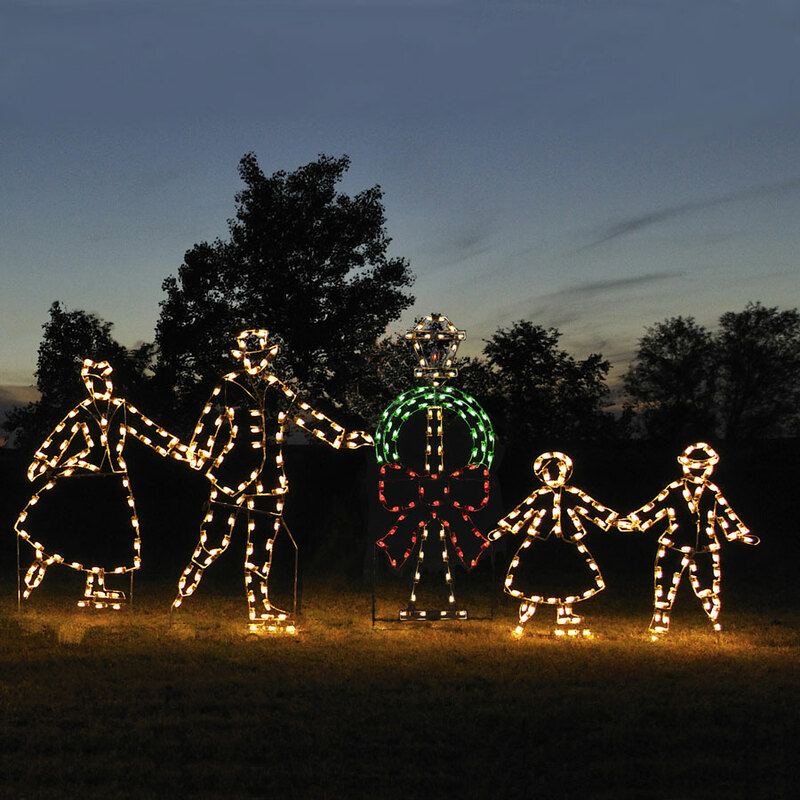 Create a truly memorable holiday show with this special five-piece LED Victorian Skaters set by Holiday Lighting Specialists. 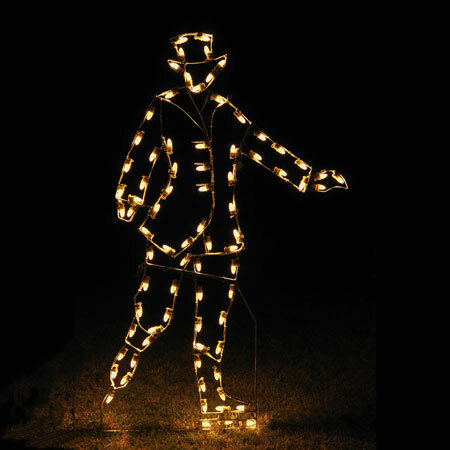 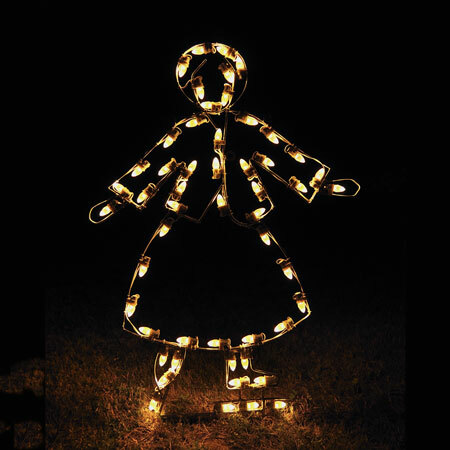 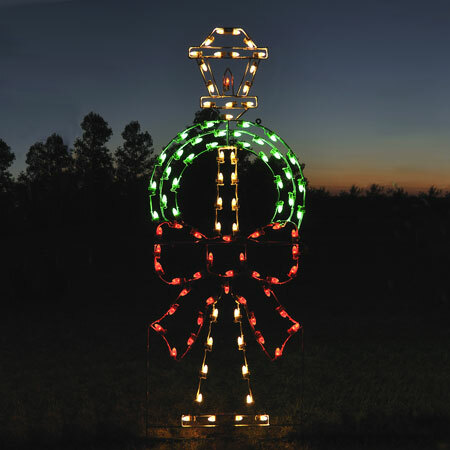 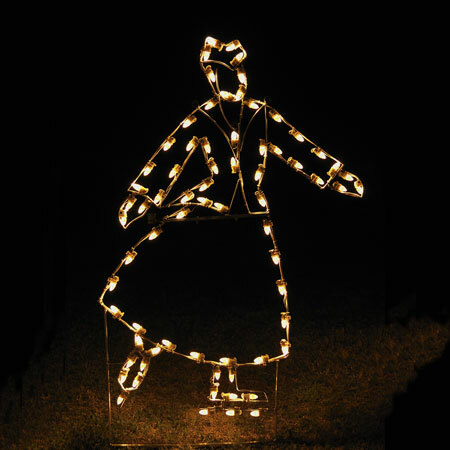 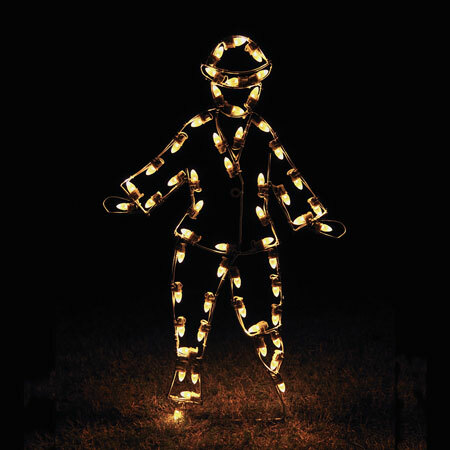 Included in the set are five handmade LED figures, including a skating mother, father, two children and lamp post that come pre-lit and ready to display with 356 commercial-grade C7 LED lights. 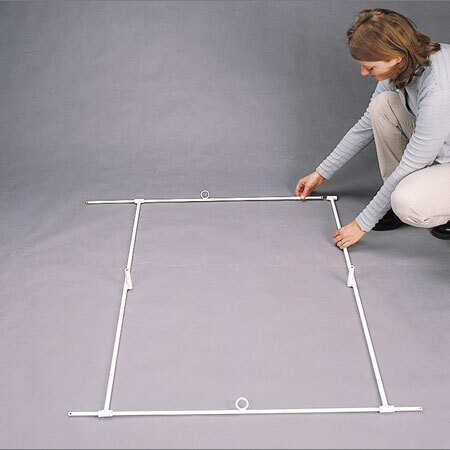 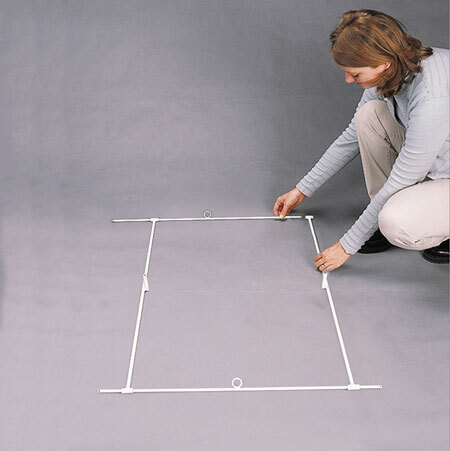 You may either insert them directly into the ground (guy wires included) or display them on a solid, flat surface using three 42-inch floor stands and two 25-inch floor stands from Christmas Night Inc.
For customers in Canadian Provinces shipping of US$197.50 plus 5% GST will be added to order.